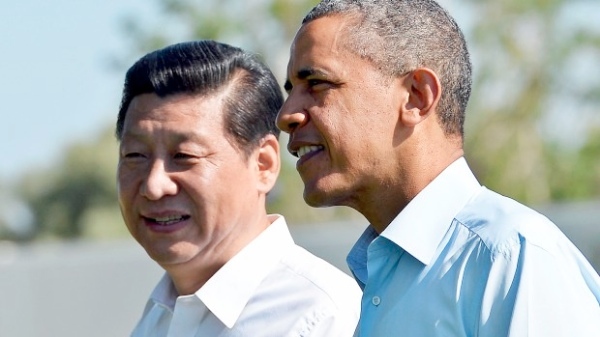 Chinese President Xi Jinping will meet his American counterpart Barack Obama on the sidelines of a Europe tour later this month to boost ties between the world’s two economic superpowers. Xi and Obama will hold talks in Netherlands with both confirming their participation in the Nuclear Security Summit from March 24-25, said Chinese Vice Foreign Minister Li Baodong on Monday. Xi is on a Europe trip from 22 to April 1 with state visits to the Netherlands, France, Germany and Belgium, and to the headquarters of the UNESCO and the EU. This will be Xi’s first trip to Europe since his ascent to the presidency in March. The bilateral meeting, the first between the two presidents this year, is “significant for the further development of the China-US relationship”, Li said at a press briefing on Monday. “The Chinese side will work with the US side to pursue positive outcomes at the NSS as well as the meeting between the two heads of state and instill new momentum in the push to build a new type of major-country relationship between China and the United States,” he added. The expanding US military presence as part of Washington’s “pivot” to the Asia-Pacific region is one of the inevitable areas of tension between China and the US. In November last year, the US sent two B-52 bombers through China’s newly proclaimed air defense identification zone even as the South China Sea row escalated with the US saying it is obligated to provide military assistance to ally Japan under a cooperation treaty in case of a conflict with China. The US is eager to extricate itself from military conflicts in the Middle East and deploy attention to Asia where, as US President Barack Obama put it, “the action’s going to be.” Many see the American Asia pivot as a bid to contain China. China has also chastised US media for failing to report equally on the recent terror attacks in the country even as Beijing has mounted an offensive against terrorism. An attack by what Chinese authorities claimed were ‘Xinjiang separatists’, had left 29 people dead and more than 130 injured earlier this month.